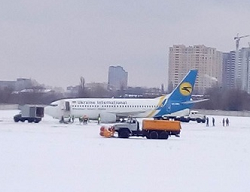 On landing in snowfall ,the 737 overran the end of the runway coming to rest in snow. 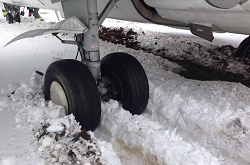 On landing runway 08 in snow, the pilots were unable to stop the 737 before the end of the runway. It overran into deep snow and came to a stop approximately 80 meters further. All on board remained unhurt and the aircraft sustained virtually no or minimal damage. Zhuliany airport was forced to close after the event until 1500L. 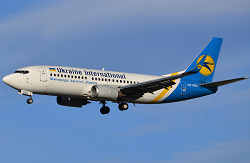 The original destination of the flight was the larger Borispol Airport but this airport closes due to bad weather (intense snowfall), so the pilots elected to land at their alternate aerodrome, Zhuliany. 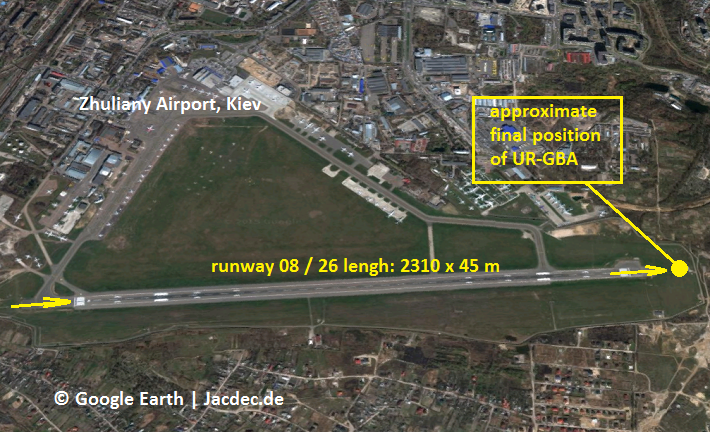 The incident aircraft was able to reposition itself back to Borispol Airport at 23:08L.